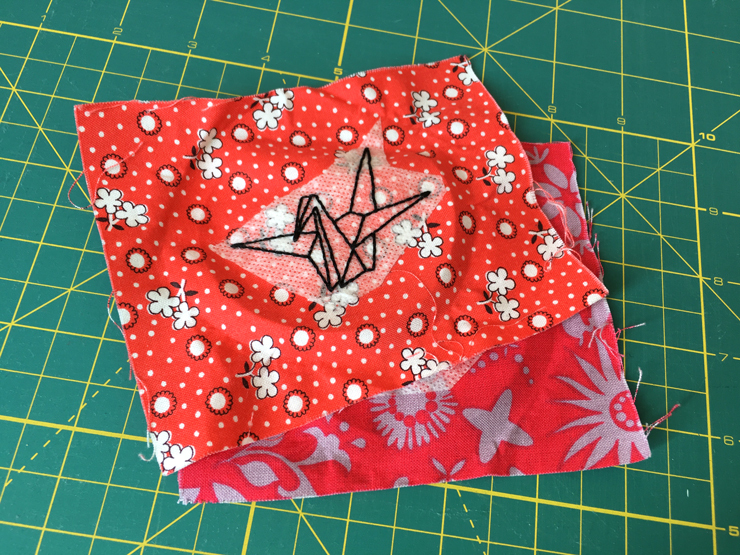 It’s been a long time since I’ve updated about the 1000 Crane Quilt. I’ve slowly been working on it, but it definitely has slowed down a lot. I feel like I made such good progress in the first few months, but then with Christmas gift making and my increased machine sewing, I just haven’t been making very many of these. I counted them up and was pretty discouraged to see that since my last update in August, I’ve only finished 22 hexagons. 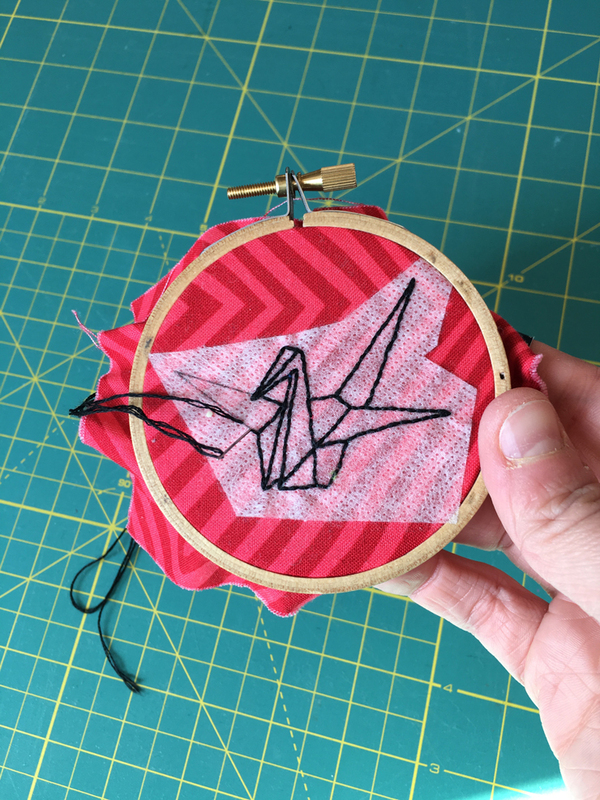 I do have more finished embroideries than that, but I like to wait until I have a pile of them before I soak off all the Sulky Sticky Fabri-Solvy Stabilizer*. I wrote a post over at &stitches about how much I love Sulky Solvy. It’s seriously so amazing! I have a huge pile of fabric prepped and ready to be stitched up. 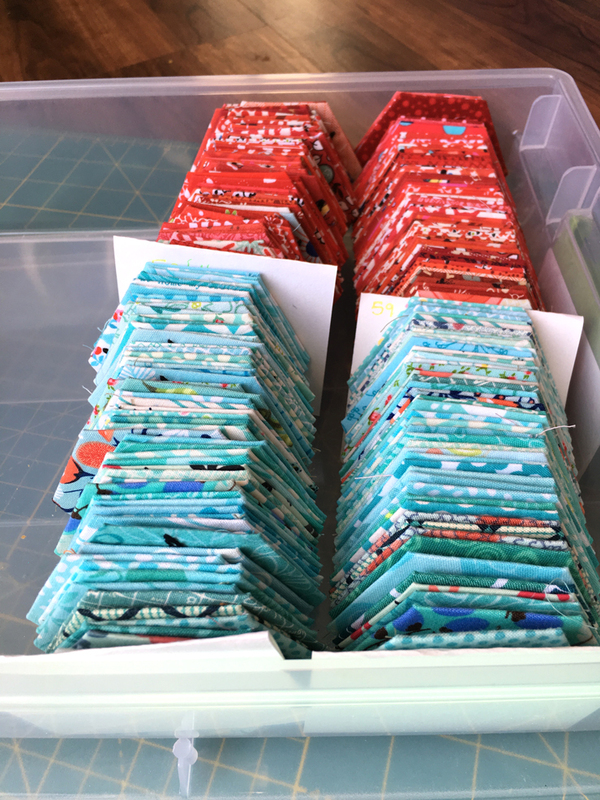 Around Christmas last year, the quilting community on Instagram started a #getyourquiltywishesgranted movement where people were wishing for fabric or other supplies and then people were sending them. 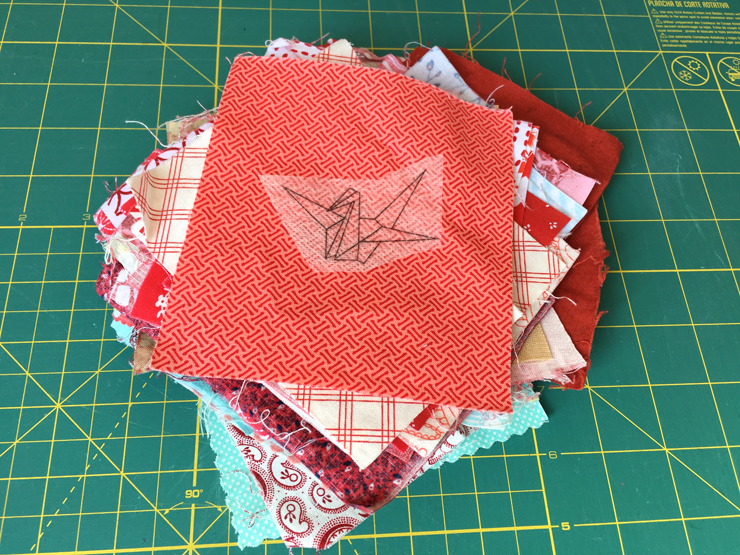 It was a lot of fun and people from all over the world granted my wishes for red and aqua fabrics for my crane quilt. I couldn’t believe how many people were excited to take part, everyone on Instagram has been incredibly supportive and amazing. I still have several years, but I want to start getting serious. I’m going to try to finish an embroidery a day. They really don’t take long, maybe 30-40 minutes, doing one a day is definitely plausible. I just need to make the commitment. I also want to decide on the ultimate color design so that I can start joining them. Woohoo! Can’t wait to see more progress!